Alabama African Americans represent blacks living in Alabama. In addition to African origins from the days of slavery and an average 25-30% white admixture, many also have strong American Indian roots, particularly among the Creek, Choctaw and Cherokee tribes. Baseball legend Hank Aaron was born in Mobile, Alabama. Alabama African American Genealogy from About.com. 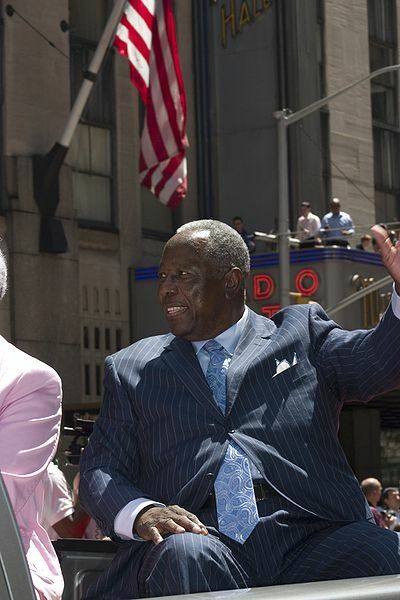 Photo: Hall of Fame baseball player Hank Aaron at the 2008 All-Star Game Red Carpet Parade. © Rubenstein, photographer Martyna Borkowski. Wikimedia Commons.